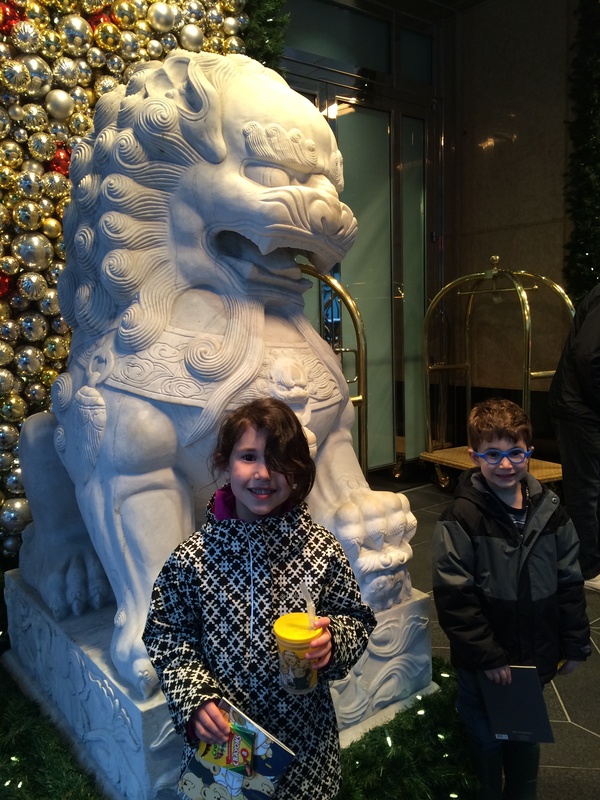 Today I piled my two little ones into the car and drove into Chicago for an annual family tradition–lunch at the Peninsula Hotel during the holidays! We met my sister-in-law and brother-in-law for what was the eighth such year. 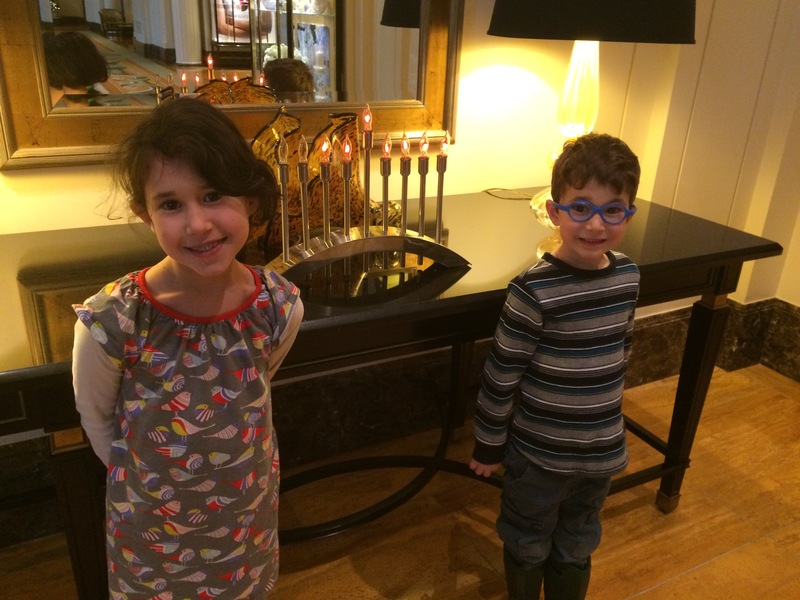 The kids enjoyed the menorah, which is always featured at the Pen during Hannukah. They ordered chicken soup and fruit salad, my SIL and BIL had the lunch buffet (looked delicious! 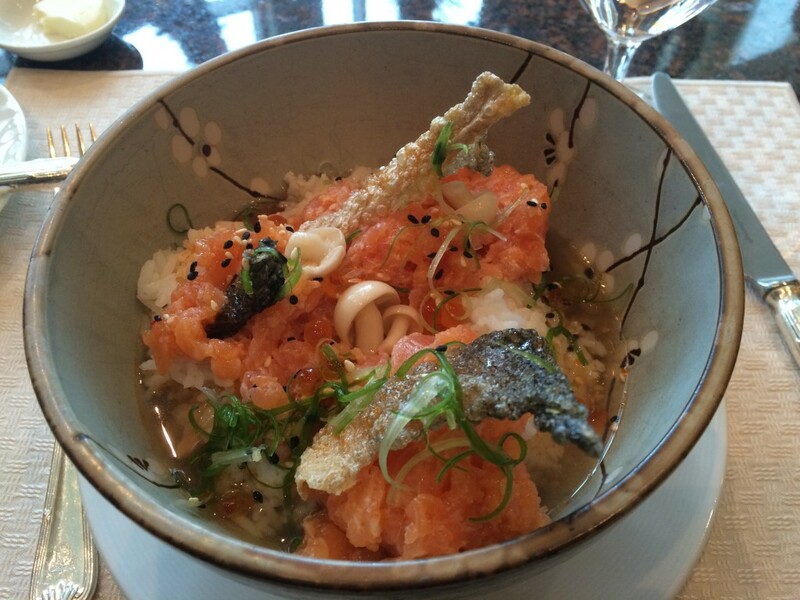 ), and I ordered this salmon rice bowl. I couldn’t resist taking this photo of the kids on the way out. 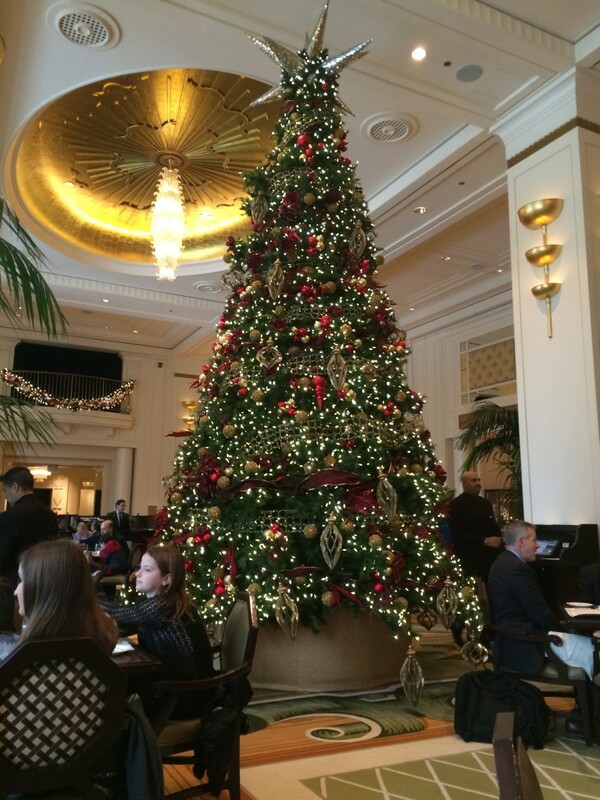 Another fun holiday lunch at the Pen!